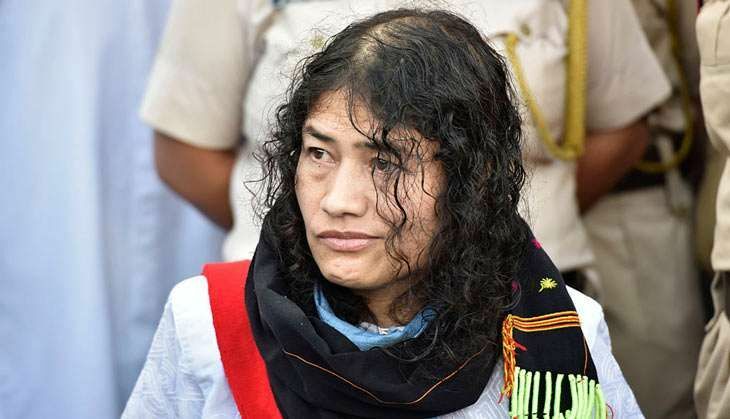 Will Irom Sharmila be able to effect the radical change she is foraying into politics for? A day after Irom Sharmila broke her 16-year-long fast, Manipuris are, in equal measure, bewildered and enraged. A good number, including many ardent supporters, are even questioning the "motives" behind her decision, while some of those who stood with her through the struggle are at loss of words explaining why she did what she did. There are many who wholeheartedly endorse her decision, but they too are not convinced about her foray into electoral politics. This question is often being asked: will her journey to take political power be as smooth as she is making it out to be? Babloo Loitongbam of the Human Rights Alert is among those who don't think it will be. He says 16 years of isolation has made her lose touch with ground reality and she needs more time to understand the harsh realities of Indian politics before taking the final call on joining the bandwagon. "She needs to get abreast with ground realities and realise that politics is all about money and muscle power. If she insists on it, a wider consultation with civil society, ordinary Manipuris and politicians is needed to devise a smarter political strategy. Such decisions are not made in haste," he says. Babloo has been closely associated with Sharmila, 44, since she began her fast in 2000, but her announcement came as a shock. Just before launching her fast to press for the repeal of APSFA, Sharmila had volunteered to help Babloo's organisation gather stories of disappearances, rapes and torture after witnessing the daylight killing of 10 people by the Assam Rifles at Malom. Although "outraged" by Sharmila's latest decision initially, Babloo has now come to terms with it. He says he sees the reasons that forced her hand. "Her sacrifice was increasingly becoming irrelevant. Earlier, the UPA government was at least engaging her but with the NDA coming to power, there has been a complete blackout on talks. So, there was no point in continuing with the fast," he says. Particularly after the Narendra Modi regime rejected outright the Jeevan Reddy Committee's recommendations on the AFSPA, Babloo says, it has become imperative to find other ways to resist the colonial law. Also, the Supreme Court ruling that the army and paramilitary can't use "excessive force" in Manipur as and when they wish and ordering that 1,528 cases of fake encounters be probed may have informed her move. "In this scenario, there needs to be a change in strategy to ensure the AFSPA is repealed, and that must have played on her mind," he says. Babloo says nobody in Manipur was consulted about the decision, but has no qualms about it. "She has always been like that and does what her conscience says," he says. "People still love her for the sacrifice she made for the cause of the Manipuris, but considering how the end of her fast was handled, there was bound to be some backlash. Her intent was to change the form of struggle and she thought this was the best way forward." Not everyone is as understanding as Babloo, though. The more radical activists claim if Sharmila does enter politics and "marry an outsider", it would bring her "downfall". "In just one day she has turned from hero to zero. And it has already begun. She is already losing her credibility as most Manipuris, including her family, believe she has betrayed the cause," says an activist from Imphal. Pointing out that Sharmila wasn't allowed to spend the night in two different neighborhoods as the residents were displeased with her decision, the activist says "this is just the beginning of her losing all credibility". After breaking her fast on Tuesday, Sharmila went to the residence of an activist, a former doctor, to spend the night, but the neighbours objected to her presence. She then went to another place near the market in Imphal, but the police didn't let her stay there "due to security concerns". She was finally taken to the Red Cross building, where a select few were allowed to meet her. Not just strangers, even her family and friends appear to have deserted her. The solidarity groups that once sang paeans to her have gone missing. And once the media posse that's now following her leaves, the activist says, she may find herself lonelier than she ever was. Babloo is among the few people who have met Sharmila since she broke her fast. He says he had a long conversation with her on various issues, including her future plans. Speaking to Catch by phone from Imphal, he says, "She was choking with emotions yesterday, but now she is far more composed and receptive to what others have to say. At present, we are not getting too much into details; we want her to take rest for a few more days before we engage in any sort of serious discussions," he said. Sharmila's decision to give up her iconic fast was brave, no matter what calculations informed it. But will it eventually effect the radical political change she desires?